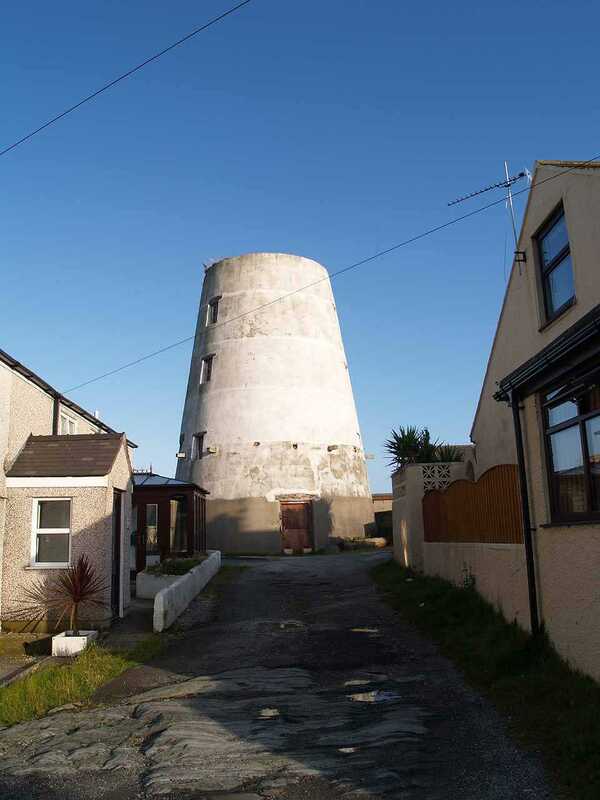 Holyhead, Kingsland Windmill - Melin Yr Ogof on the Isle of Anglesey (Ynys Môn) in North Wales. 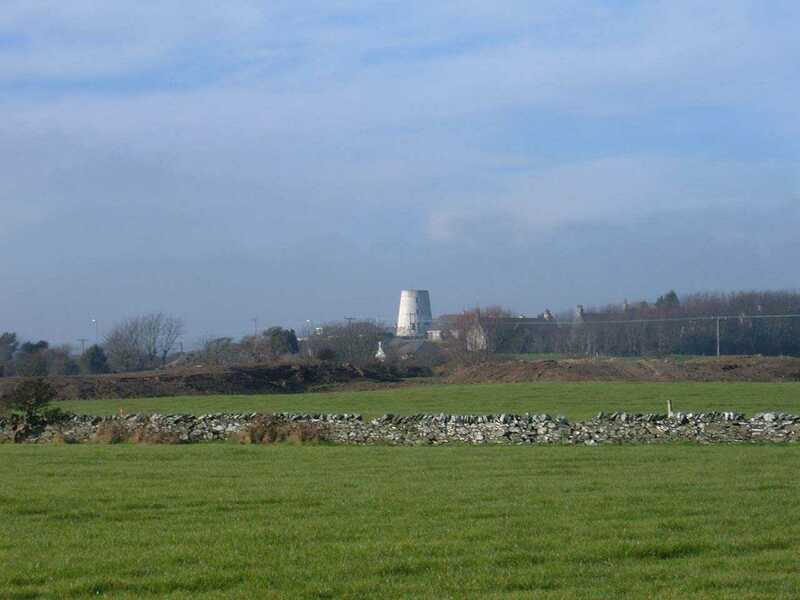 Anglesey, Holyhead, Mill Road, Melin Yr Ogof Windmill from Ty Mawr Development. 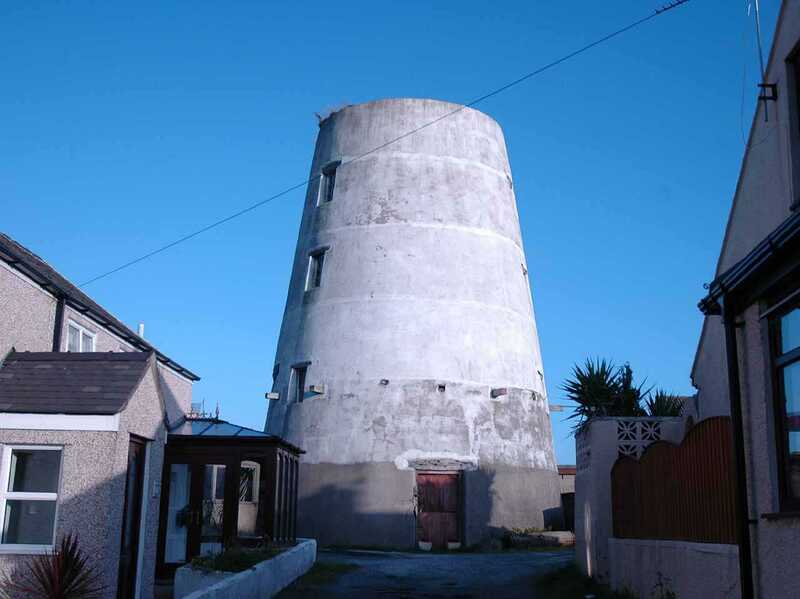 Melin Yr Ogof (also known as George's Mill) Windmill, in Mill Road, Kingsland, Holyhead, was built in 1825, and was a corn mill. 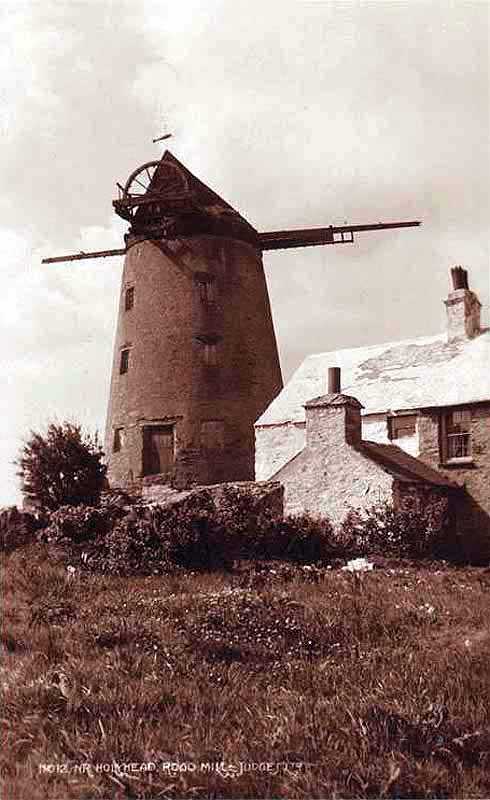 On the old photograph above it is named as Rogo Windmill. The theory I have for that is that the correct name is YR OGOF Windmill, and I believe that the English photographer and the Welsh guide probably had a failure to communicate. 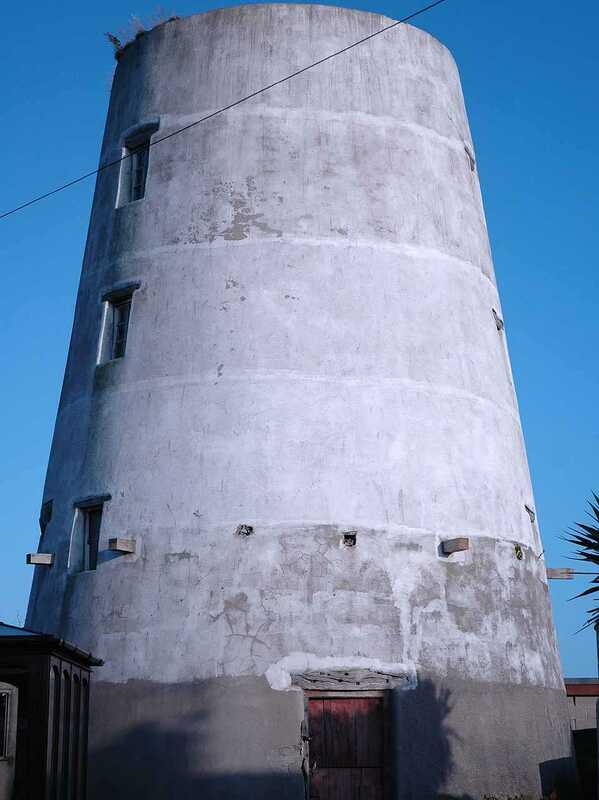 This is without doubt the most complete windmill still in existence - apart from the totally restored Llynnon Windmill - as it has inside certainly most of its' original machinery. Melin Yr Ogof Windmill was apparently still in use in the early 1920's. It is now owned by a gentleman - I believe from London - who comes to take care of it once or twice a year. In addition, I believe that the local council keep an eye on it as well, carrying out any essential repairs (although the owner gets the bill). You may notice from the O.S. 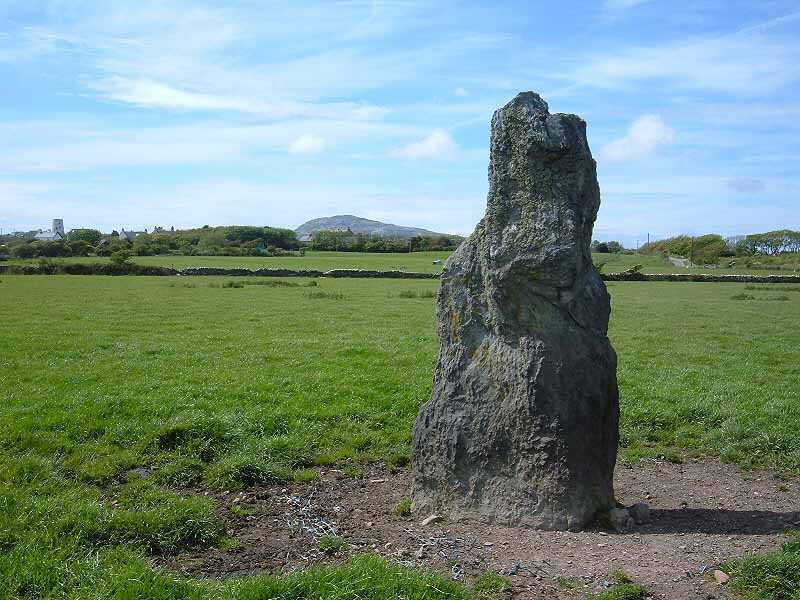 coordinates of this mill and the one at Tan Refail that they are just hundreds of yards away from each other.